Hannah Friedman, the SA’s director of the arts, and Samantha Carpenter, the SA’s assistant director of the arts, said they condensed several arts organizations’ events into one week to spotlight regularly scheduled programming. Updated: April 17, 2018 at 12:41 a.m.
Dance workshops, concerts and a capella performances will be scattered across campus this week during GW’s first-ever designated week of arts activities. Arts Week, an event organized by the Student Association’s co-directors of the arts that began Sunday and will run through Saturday, will feature 12 scheduled events like musical performances and plays by student organizations. Student leaders planning the week said the events will give about nine arts organizations a way to promote their work on a campus dominated by political interest. 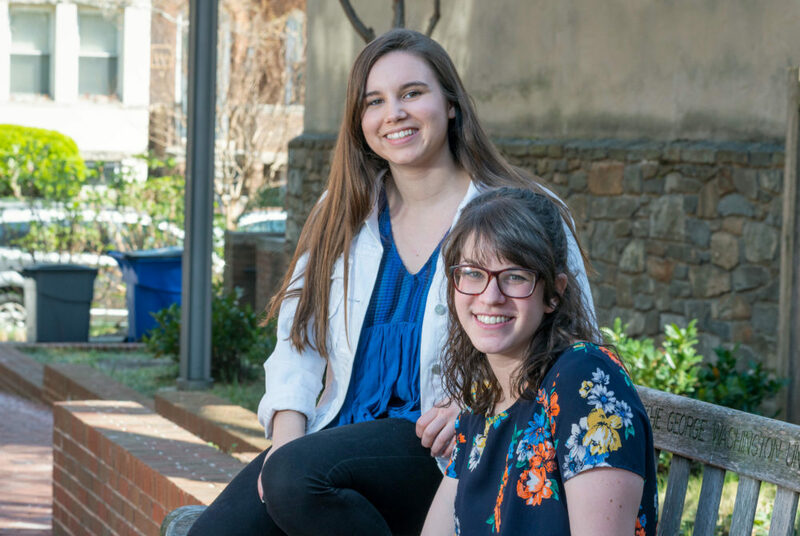 Hannah Friedman, the SA’s director of the arts, who formed the GW Arts Committee – a group representing the interests of about 40 arts organizations – in December, said the arts are often overlooked in GW’s campus life. She said the week, which organizers hope will become an annual event, aims to attract students who haven’t previously been interested in music, art, dance and theater student groups. The week’s programming is advertised on the art committee’s Facebook page and social media sites of student organizations involved in the events. Friedman said some student organizations, like Balance, a GW dance group, reached out to her and asked to be listed on the rundown of activities. The week kicked off with a GW Orchestra concert called “Painting with Sound” in Lisner Auditorium Sunday and will conclude with The Addams Family, a play by student-run theater company Forbidden Planet Productions, Friday evening on the Mount Vernon Campus. Friedman said WRGW and Searcher Records, a student-run record label, will host a concert in Square 80 Friday to showcase their artists’ work in a more public space on campus. The idea for Arts Week originated in SA President Peak Sen Chua’s platform when he ran for executive vice president last year. Chua said he wanted to create a week dedicated to the arts to raise awareness for these groups at a school heavily focused on politics. Samantha Carpenter, the SA’s assistant director of the arts, said she and Friedman condensed several arts organizations’ events into one week to spotlight regularly scheduled programming, like dance workshops – which often go unacknowledged because students aren’t aware that the events are happening. “There’s so much amazing art stuff that goes on all throughout the week and all throughout the month, just all the time,” she said. Carpenter said Arts Week could show both current and prospective students the strength of the fine arts community at GW. Throughout April, officials are holding “Inside GW” events for admitted students to tour the University before deciding which university to attend. “For prospective students looking at GW – showing them we’re having this arts week, that art is really prevalent and that there’s so many different arts organizations that you could go into or join on campus, just gets everyone really excited” she said. Joe Shanahan, the president of the GW MotherFunkers, an a capella group, said he expects the students who stopped by the free event Sunday to seek out ways to get involved in the visual and performing arts. The Hatchet reported that Arts Week began with a concert by Painting With Sound Sunday. The concert actually featured GW Orchestra and was called “Painting With Sound.” We regret this error.